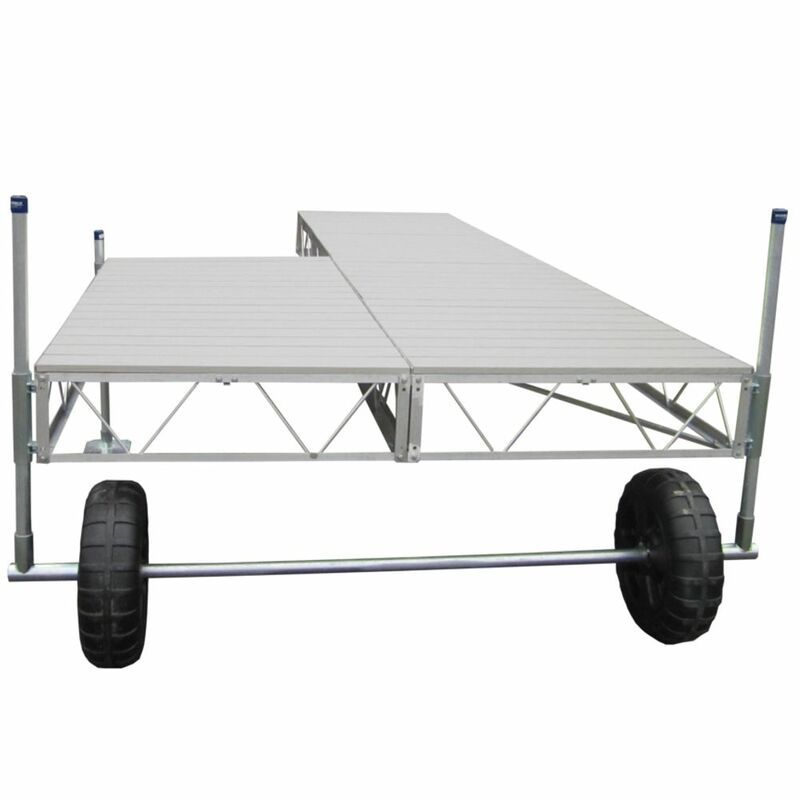 Patriot modular aluminum marine docks provide the ultimate in shoreline enjoyment. Our 12-in. deep aluminum truss frames are expertly crafted with welded and bolted connections. We use 7/16 in. diameter aluminum chord rods, not 3/8 in. like most of our competitors. Pipe is all 1 1/2 schedule 40 electro-galvanized steel, not lighter weight steel tubing. Our pipe brackets are extra long with two - not one - stainless steel set bolts. Patriot Docks have a limited Lifetime Warranty on aluminum frame and poly and aluminum decking. 16 ft. Patio Roll-In Dock with Gray Aluminum Decking Patriot modular aluminum marine docks provide the ultimate in shoreline enjoyment. Our 12-inch deep aluminum truss frames are expertly crafted with welded and bolted connections. We use 7/16 inch diameter aluminum chord rods, not 3/8 inch like most of our competitors. Pipe is all 1-1/2 inch schedule 40 electro-galvanized steel, not lighter weight steel tubing. Our pipe brackets are extra long with two - not one - stainless steel set bolts.